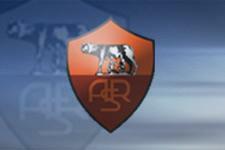 Roma qualified for the final of the Coppa Italia (Tim Cup) by beating AC Milan 3 goals to 1. After the 2-2 draw at San Siro in the first leg, Luciano Spalletti’s side got the better of the Rossoneri thanks to strikes from Mancini (8’), Perrotta (23’) and Pizarro (46’). Of note was the return of Francesco Totti to the Roman attack after his absence from last week’s clash with Siena. The Romans will most likely meet two-time winners Inter Milan in the final. The league leaders shouldn’t have any trouble getting past Sampdoria, who they beat 3-0 in the first leg.